Fáskrúðsfjörður, (Búðir) a village on a rather long fjord of the same name. Trading started ca. 1890. Formerly a base for French fishermen, who had their own hospital, chapel and cemetery.The French used a big rock, which can still be seen in the village, as a bearing for landward sailing. They painted a black cross on it, and joined in prayer there before sailing out to sea. 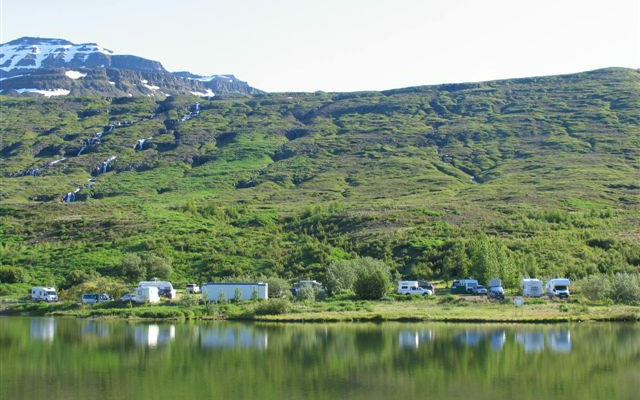 A “French Days” festival is held in the last weekend in July each summer in Fáskrúðsfjörður.